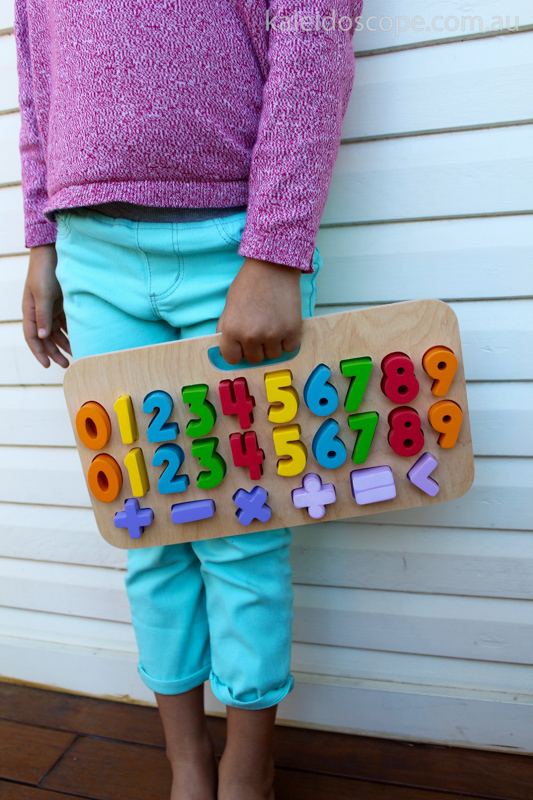 An educational puzzle with relevance to children across a range of ages and stages of readiness for understanding basic arithmetic and basic mathematical concepts. At its most simple, this puzzle offers an opportunity for younger children to recognise and name the numbers 0 -10 and to learn to count. 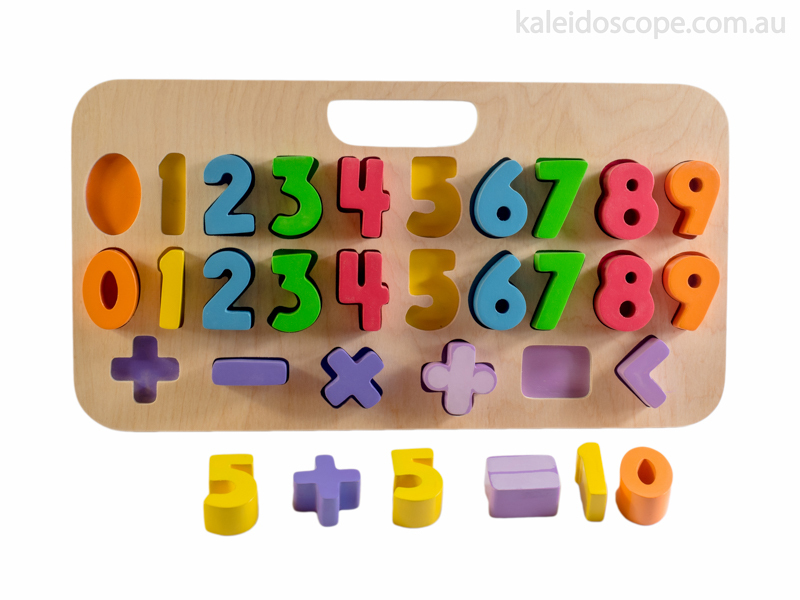 At later stages it encourages the manipulation of numbers; the concepts of addition and subtraction and later, multiplication and the notion of more than and less than. 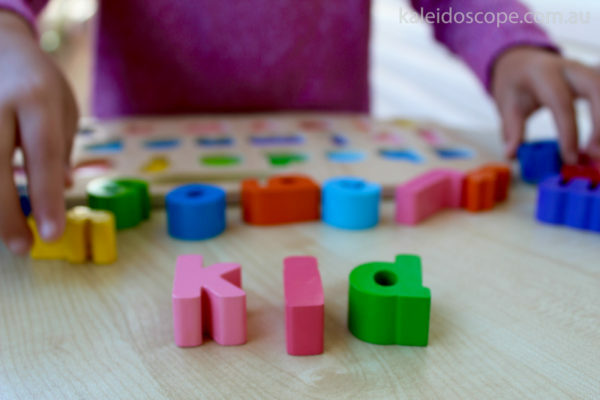 With all pieces removed from the puzzle, ask the child to find a particular number, and to fit it into the puzzle. This can be done initially with consecutive numbers but later numbers can be chosen randomly. Counting to 10 aloud can be done when the puzzle is complete. Select a number at random and ask the child to find that many blocks or objects. This can also be done with the child selecting the correct number for objects presented to him/her. Have the child group their toys or objects into numbered groups and then place the wooden number in front of each group. Numbers greater than 10 can be built off the puzzle base when the child is older. 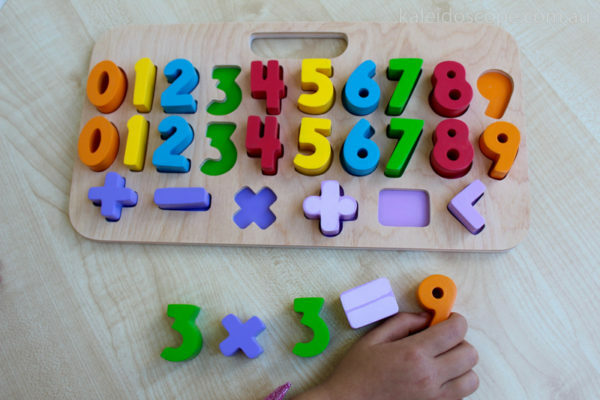 Help the child to use the symbols to create different mathematical equations.